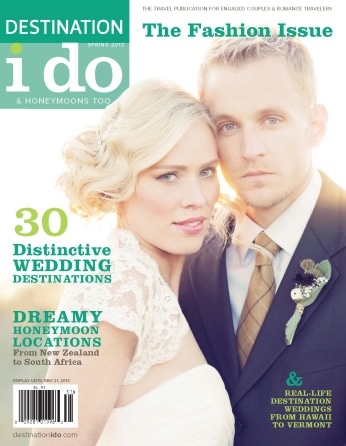 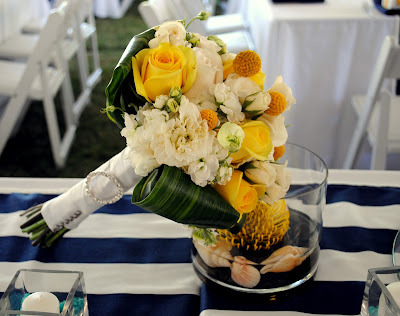 We are so excited to finally share the pictures of one of our favorite weddings from the past year. 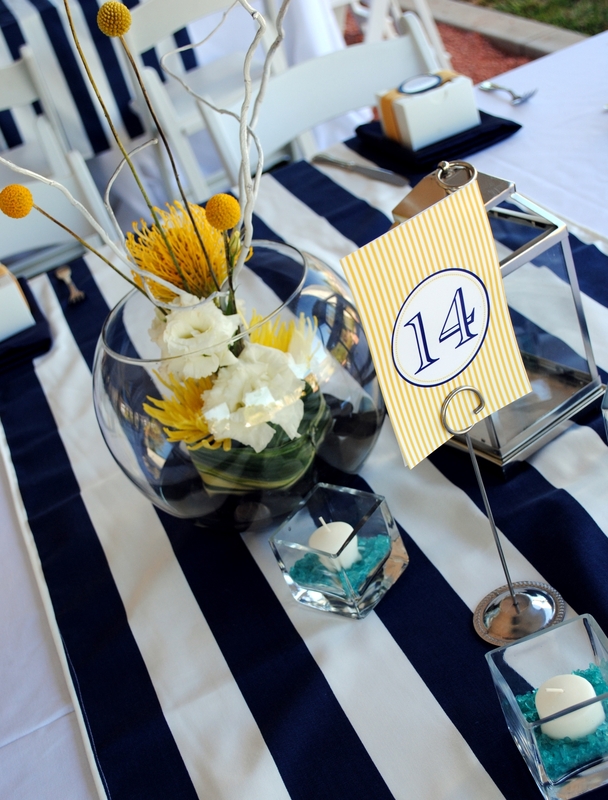 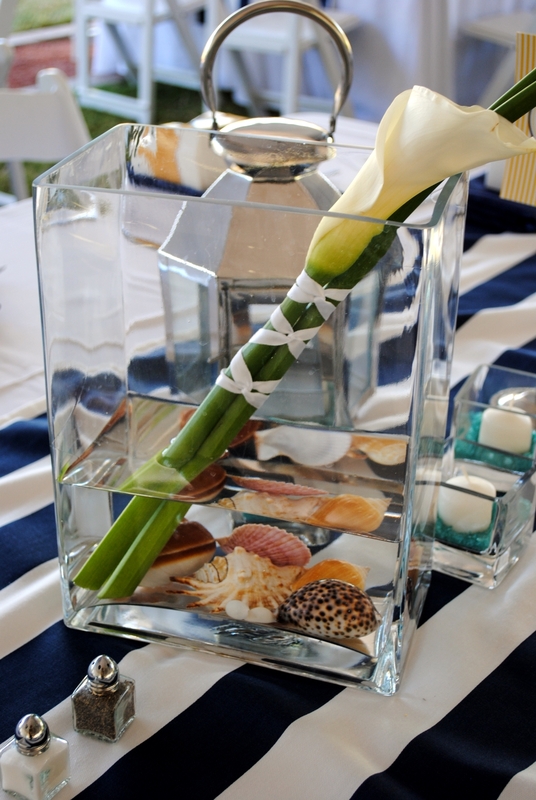 This wedding was inspired by all things Nautical. 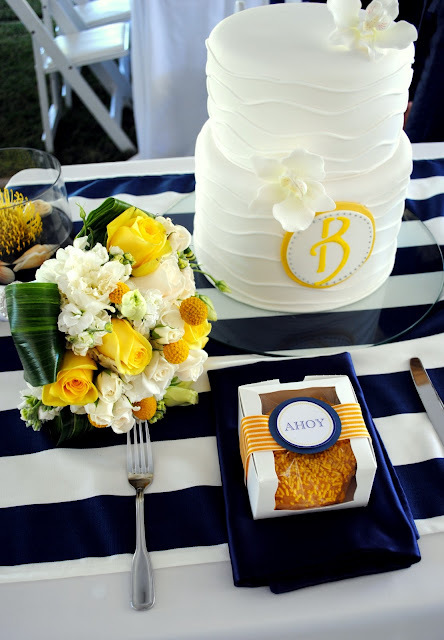 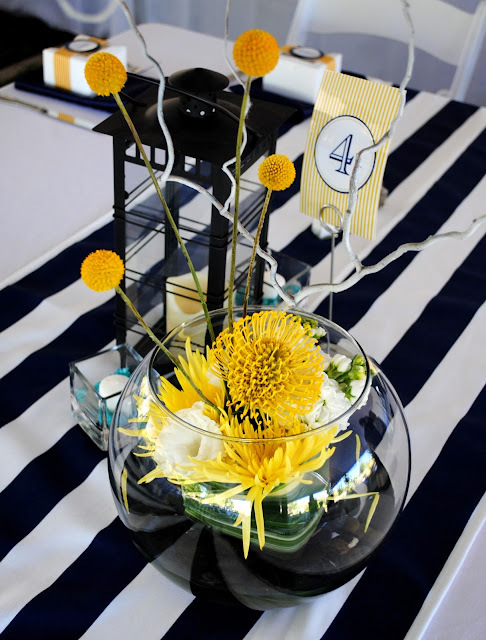 From the clean color pallet of True Yellow, Bright White, Navy Blue and splashes of Aqua, to the actual sail boats that were brought in specially for the wedding. 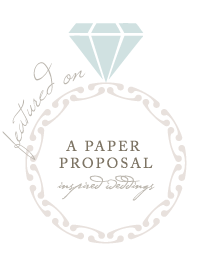 Not a detail was missed. 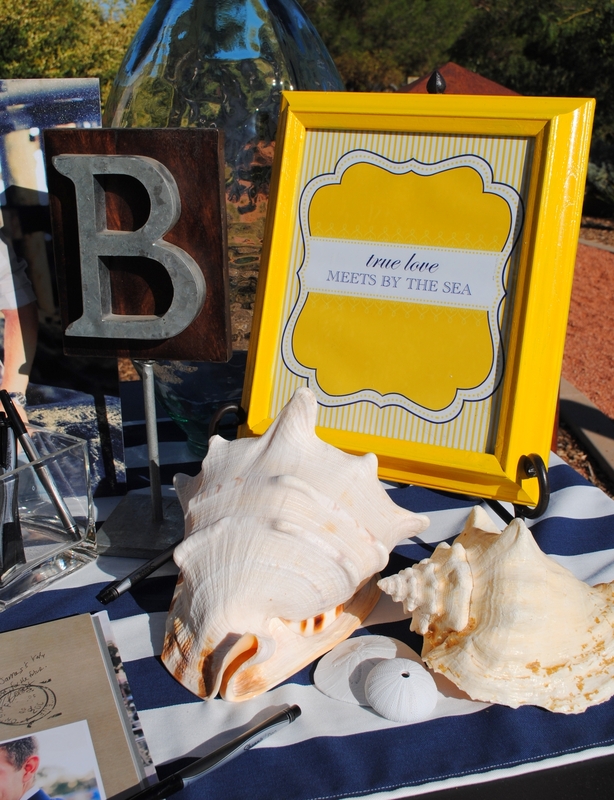 The Bride and Groom were so easy to work with and were overwhelmed by how well FOREVERMORE EVENTS brought their ideas to life. I could go on and on, but I think I will let the pictures speak for themselves…. 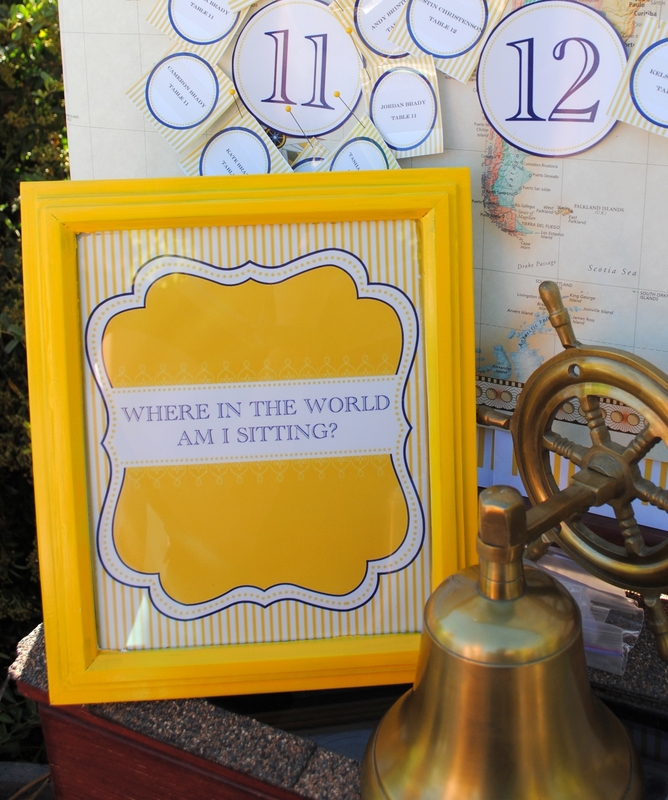 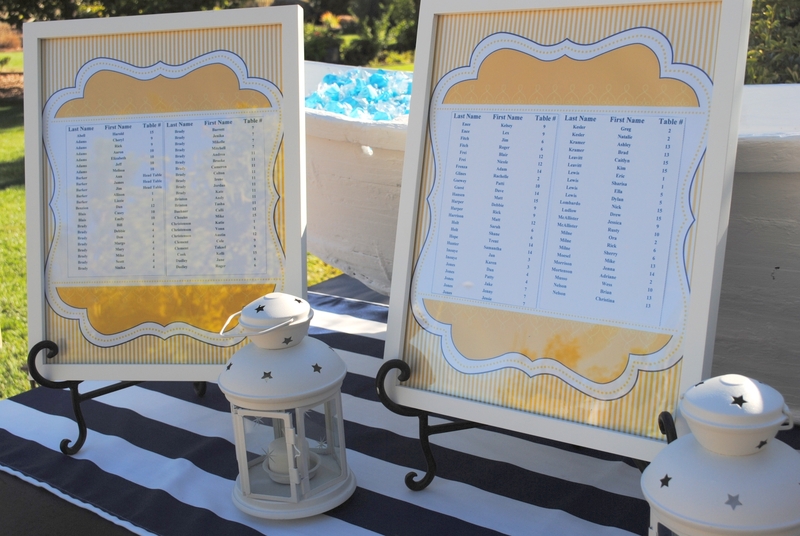 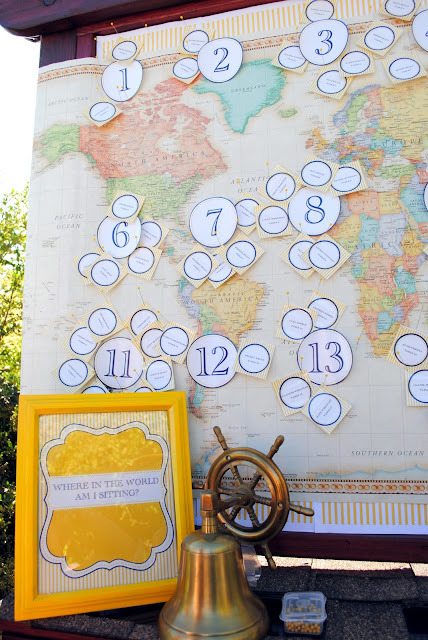 Guests were greeted by a fun and interactive seating chart. 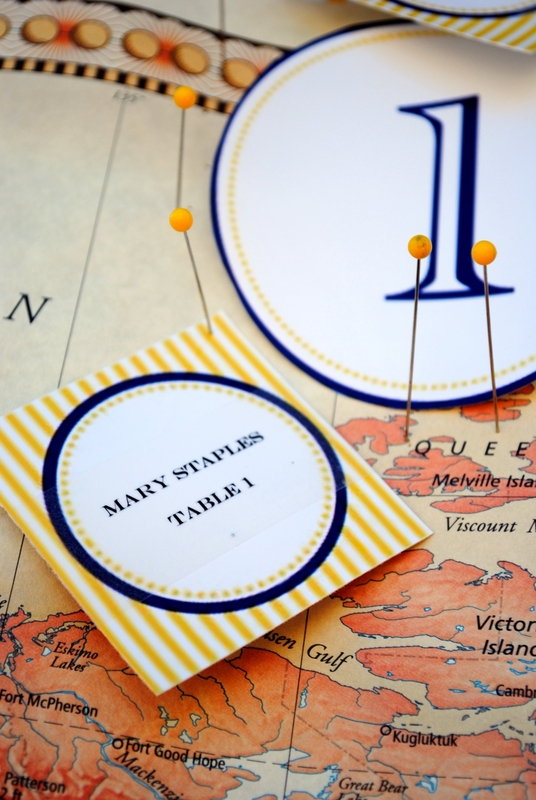 They had to scan the world map until they found their name, which coordinated with a table number. 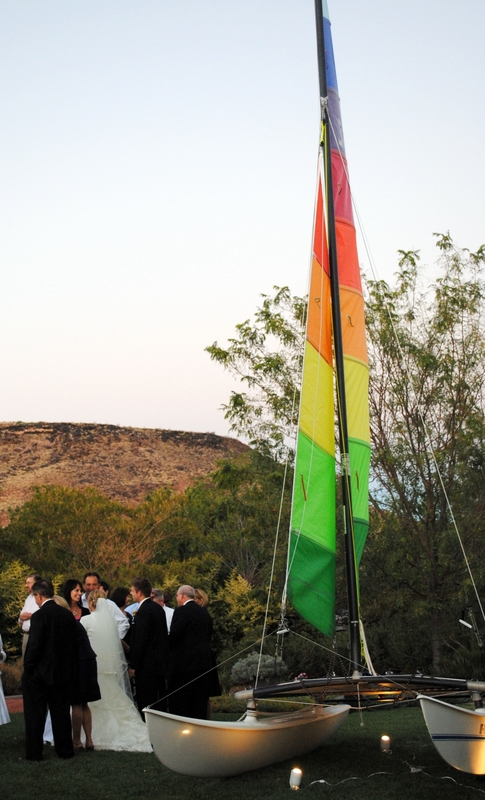 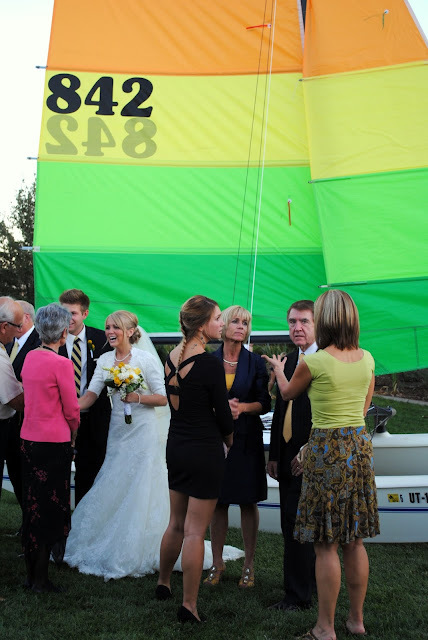 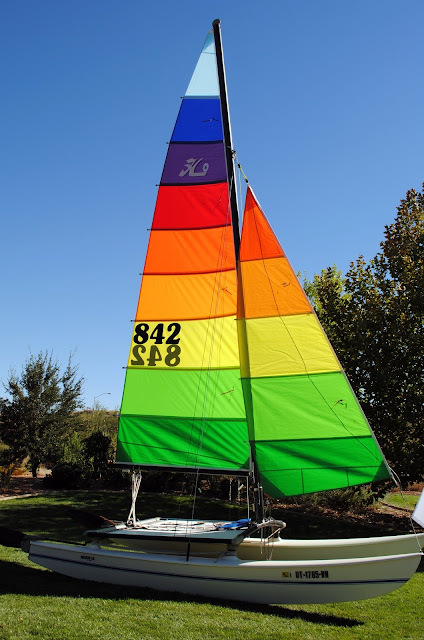 The guests were then greeted by the Bride and Groom standing in front of a gorgeous, full size sailboat with a rainbow striped sail. 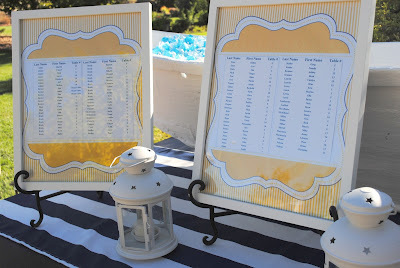 It was one of my favorite details of this event! 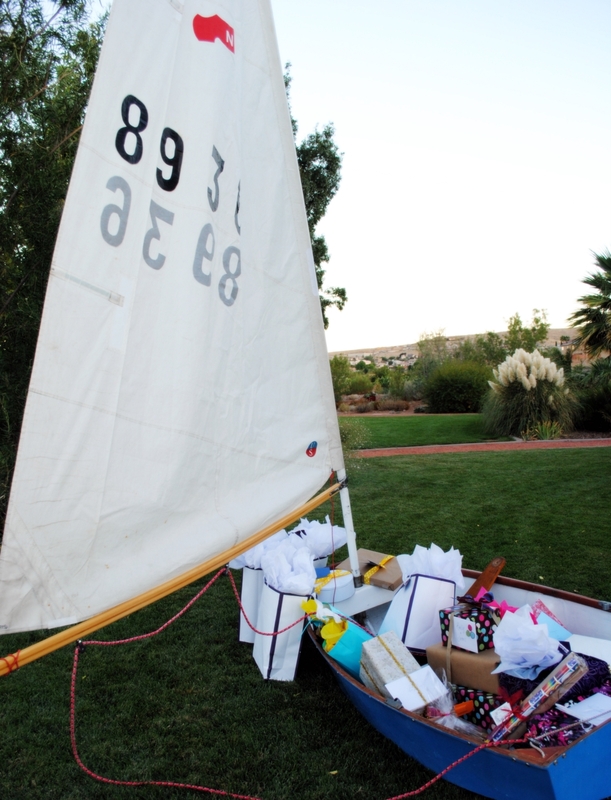 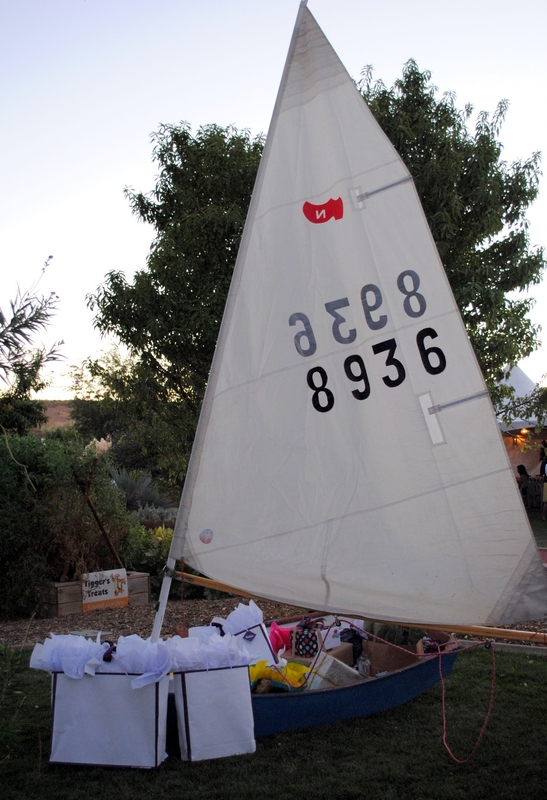 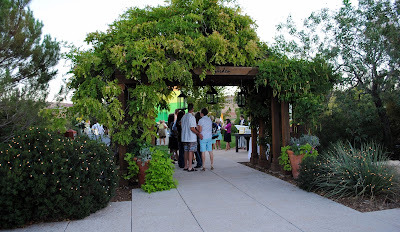 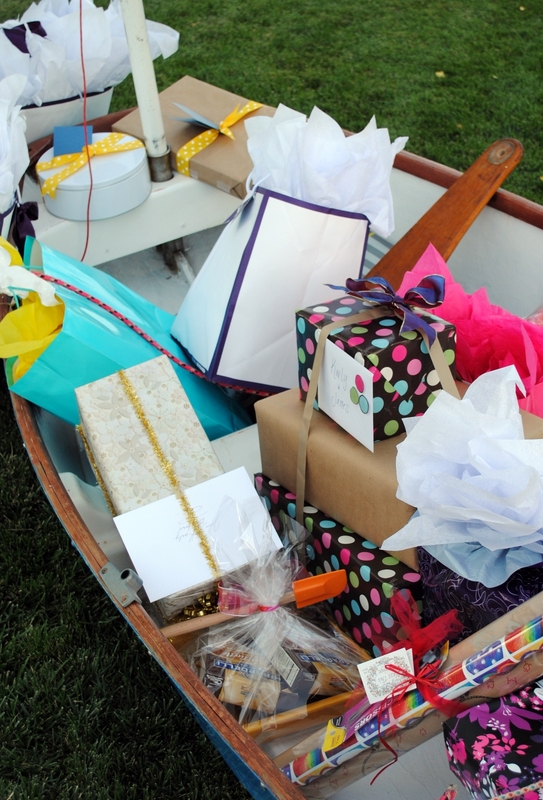 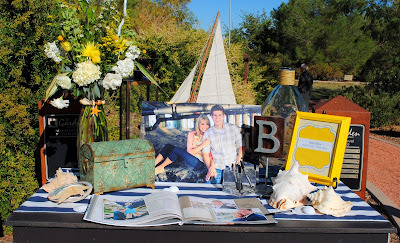 Smaller sailboats also lined the pathways, serving as the perfect place for the guests to set their gifts. 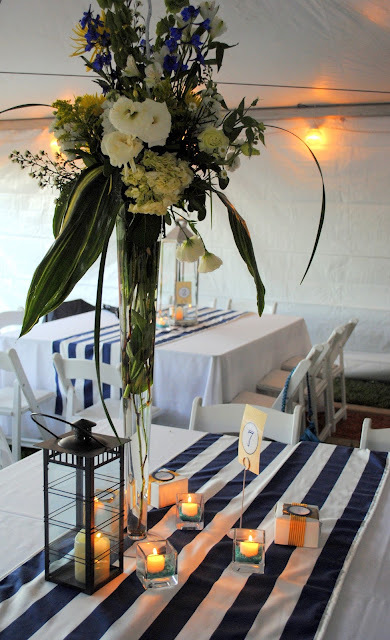 As the guests entered the large white tents they were greeted by a plethora of beautiful centerpieces, compliments of Patches a local flower shop. 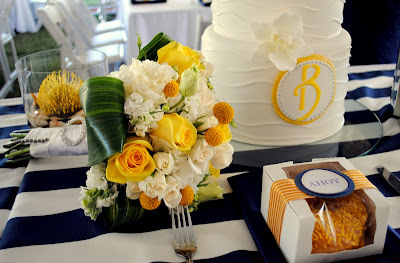 They did an amazing job with the flower arrangements especially the bride bouquet! The favors are also one of my favorite details! We worked with BUMBLE LOVE, a local graphic design and wedding details company, and MARVELLOUS CATERING to create the perfect favor for this wedding. 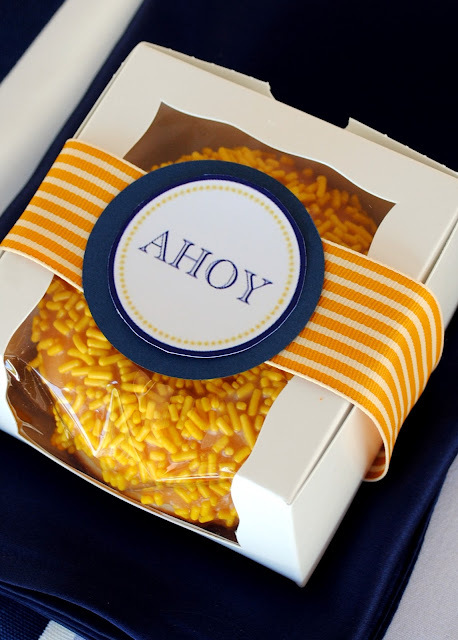 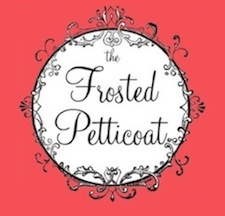 Individually boxed dough-nuts, ordered specially with white glaze and yellow sprinkles. 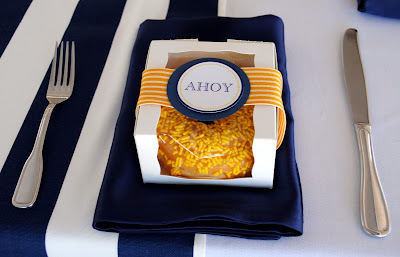 We thought the shape of the dough-nuts resembled a sailboats “life-preserver” and fit perfectly into the theme of the wedding. Tune in later this week for PART TWO of this Amazing Wedding!